Spending Too Much Time Tracking Time? Senomix Timesheets solves the problem of accurate time tracking by letting you and your staff quickly record effort hours and focus on priority tasks. 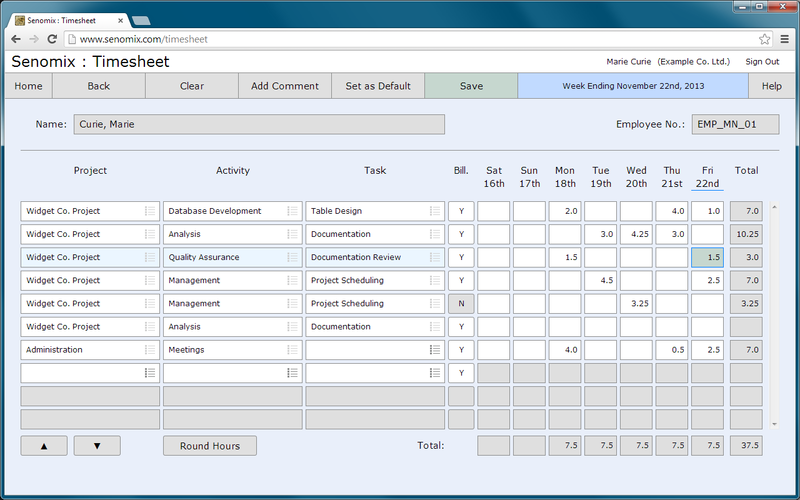 Just select a project in your time sheet, enter your hours, click 'save' and you're done. Whether recording effort hourly, daily or weekly, the time entry screen of Senomix Timesheets provides a simple layout which allows you and your staff to record time to your office's central server and return to your day with a minimum of interruption. Tracking time does not need to take time. Default settings for each employee's preferred timesheet layout can be saved with a single click, and past entries can be easily retrieved for reference using the printable timesheet and comments reports provided with every employee's own timesheet list. 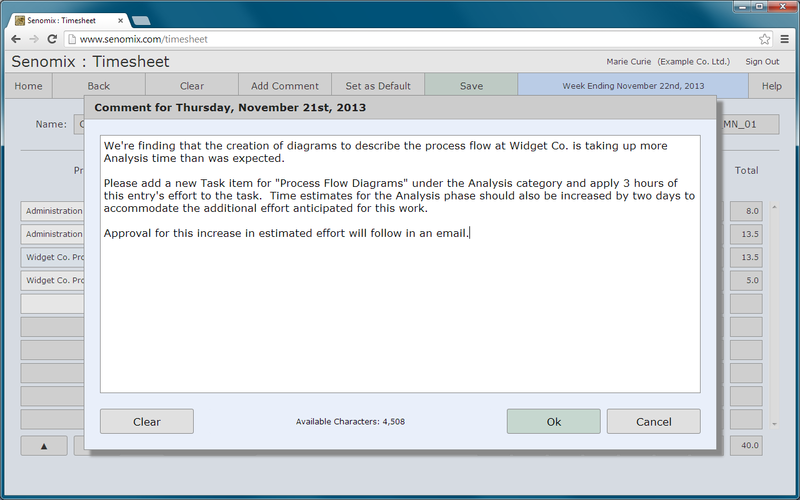 Detailed comments can be added to every hour recorded, with up to 5,000 characters of descriptive text available for each entry on an employee's time sheet. Whether it's a reminder of task details, a snippet from an email, or a note to follow-up on a particular item of work, timesheet comments can record any additional details you and your staff would like to save. We have been using Senomix Timesheets for over three years now and it is one of the best software packages I have ever worked with.